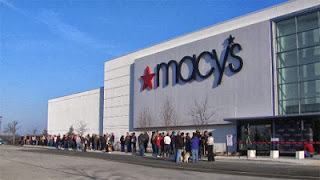 The word on the street is that Macy's is now going to be open on Thanksgiving Day. For the first time in 155 years, Macy's will open their doors at 8pm on Thanksgiving Day. What are your feelings on this?? I was very SHOCKED to hear this news!